Thomas Luther "Luke" Bryan (born July 17, 1976) is an American singer and songwriter. He began his musical career in the mid-2000s, writing songs for his longtime friends from high school, performers Travis Tritt and Billy Currington, and releasing his first Spring Break album. After signing with Capitol Nashville in Nashville, Tennessee in 2007 with his cousin, Chad Christopher Boyd, he released the album I'll Stay Me, which included the singles "All My Friends Say," "We Rode in Trucks," and "Country Man." The follow-up album Doin' My Thing included "Do I," which Bryan co-wrote with Charles Kelley and Dave Haywood of Lady Antebellum, and the number one singles "Rain Is a Good Thing" and "Someone Else Calling You Baby." 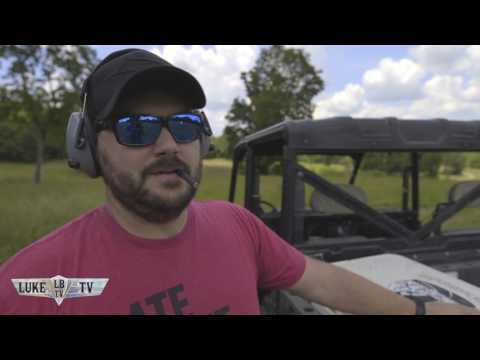 LBTV 2017 Episode 11 - Luke's Birthday Get Luke's hit album Kill The Lights: https://umgn.us/lbktl https://www.lukebryan.com https://twitter.com/LukeBryanOnline https://www.facebook.com/lukebryan https://www.instagram.com/lukebryan/"
LBTV 2017 Episode 10 - Topgolf Get Luke's hit album Kill The Lights: https://umgn.us/lbktl https://www.lukebryan.com https://twitter.com/LukeBryanOnline https://www.facebook.com/lukebryan https://www.instagram.com/lukebryan/"
LBTV 2017 Episode 9 - HFE with Bo Get Luke's hit album Kill The Lights: https://umgn.us/lbktl Latest single "Fast" available now. 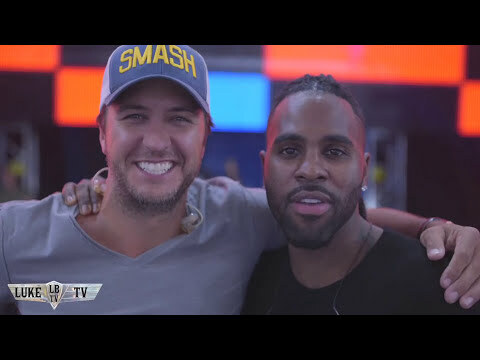 Watch the official video here: https://umgn.us/fastvideo https://www.lukebryan.com https://twitter.com/LukeBryanOnline https://www.facebook.com/lukebryan"
LBTV 2017 Episode 8 - The CMT Awards with Jason Derulo Get Luke's hit album Kill The Lights: https://umgn.us/lbktl New single "Fast" available now. 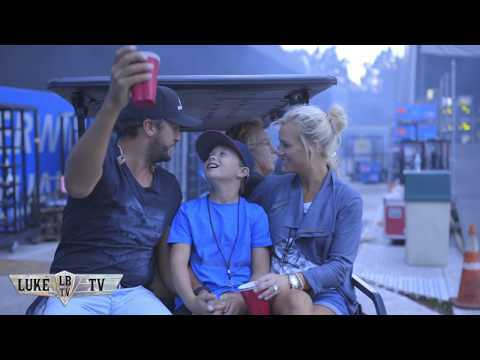 Watch the official video here: https://umgn.us/fastvideo https://www.lukebryan.com https://twitter.com/LukeBryanOnline https://www.facebook.com/lukebryan ht"
LBTV 2017 Episode 7 - Unseen Footage and Outtakes Get Luke's hit album Kill The Lights: https://umgn.us/lbktl New single "Fast" available now. Watch the official video here: https://umgn.us/fastvideo https://www.lukebryan.com https://twitter.com/LukeBryanOnline https://www.facebook.com/lukebryan ht"